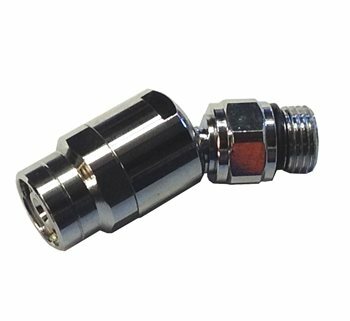 Inline swivel Adaptor allows your Primary Second Stage Demand Valve to be held in a more comfortable position in your mouth. It can also be used on Secondary Octopus Second Stages with a reduced S bend in the hose. The reciever can orientate to any position due to the maximum 120 deg bend allowed and the 360deg turn on the Low Pressure Hose.